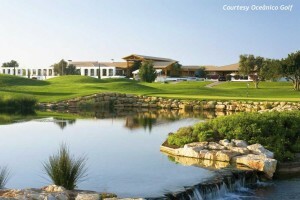 The Victoria , which covers some 90 hectares, is the most recent golf course project of Arnold Palmer in Portugal. As one of the best and most sophisticated golf courses in Europe, every care has been taken to ensure the preservation of the wetlands and the typical vegetation of carob, olive and almond trees. Several lakes, occupying 13 hectares, provide mirrors of water and strategic reservoirs for irrigation.